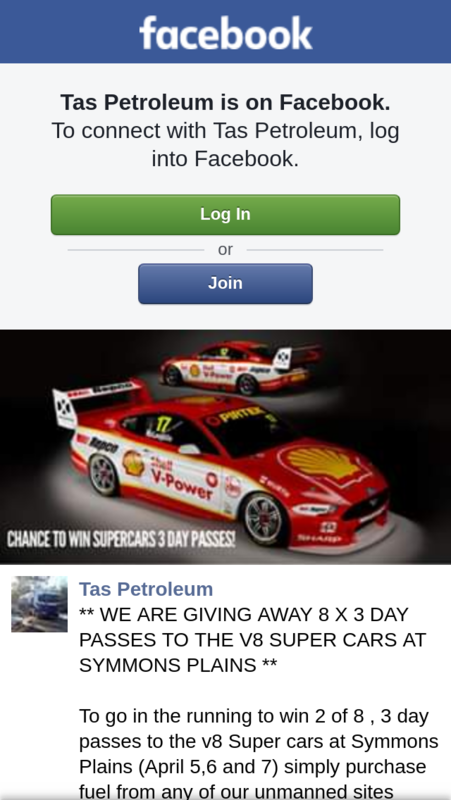 WE ARE GIVING AWAY 8 X 3 DAY PASSES TO THE V8 SUPER CARS AT SYMMONS PLAINS. Winners will be contacted via Facebook on Tuesday, 2 April. To win 2 of 8, 3 day passes to the v8 Super cars at Symmons Plains (April 5, 6 and 7) simply purchase fuel from any of our unmanned sites across the state between Monday, 25 March and Monday, 1 April.